This Chris' EXCLUSIVE design brings back the good ol' days of Cowboy Basketball! 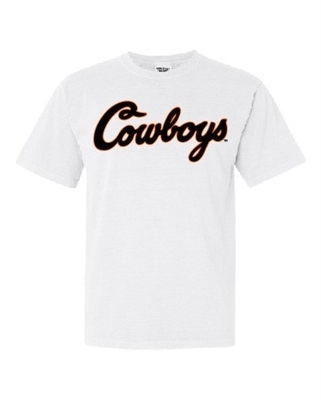 The classic Cowboys design is screen printed on a Comfort Colors short-sleeved t-shirt. 100% cotton.